While author Thomas Wolfe might not agree, Dr. John White is proof you can come home again. Born and raised in Asheville, Dr. White always knew he wanted to start a family of his own right here in his hometown and continue the long-standing traditions of community enrichment. Today, he can happily say that he’s been fortunate enough to welcome the opportunity to now help his friends, family members, and neighbors smile brighter. After graduating with his bachelor’s degree from the University of North Carolina at Chapel Hill, Dr. White was planning to pursue a PhD in chemistry. Fortunately for dental patients across Asheville, though, he decided to take a break after college and work for a little while. Spending a few years doing research in pharmaceutical labs convinced him otherwise. The lab environment provided minimal interaction with people and dulled his enthusiasm. At this point, he took a few days to shadow his dentist, Dr. Weinstein. Immediately, Dr. White knew this was the perfect career. He went from watching the clock to see when his day would end to losing track of time. Dentistry offered the science he loved while expanding his horizons to include hands-on creativity and a genuine ability to help others. 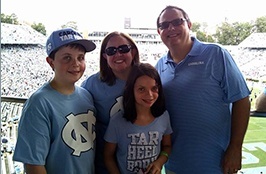 Even after earning his dental degree from the University of North Carolina (after all, once a Tarheel, always a Tarheel), Dr. White knew he had so much more to learn. This is why he relished the opportunity to participate in a two-year, post-doctoral residency program at Wake Forest University’s Baptist Hospital and Bowman Gray School of Medicine. During this time, he worked in a hospital setting and built his expertise in extractions, sedation dentistry, and dental implants – along with a wide range of more routine, dental procedures. His residency also included participation in a year-long externship hosted by the world-renowned Midwest Implant Institute in Columbus, OH. 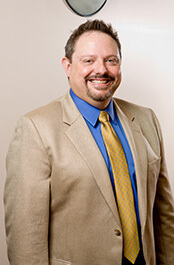 Since completing his residency and returning to Asheville, Dr. White has continued to invest in advanced training and education. In fact, he has earned his Mastership in the Academy of General Dentistry, which is an accomplishment that less than 1% of all dentists in the United States can brag about. 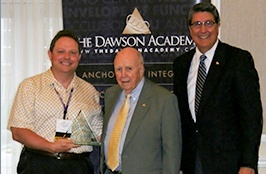 As part of this commitment, he completed the entire curriculum at the prestigious Dawson Academy in Florida. Here, he learned how to make the most complex cases predictable and embraced the philosophy of treating the “whole person,” not just their teeth. These accomplishments represent more than 1,000 hours of hands-on and classroom learning. With fond memories of his childhood spent exploring the hills and trails of the Great Smokey Mountains, Dr. White has been fortunate to have his kids follow in his footsteps. He and his wife enjoy the challenges and busy schedules that come with two teenagers and a college student, and they have embraced every opportunity to help them learn and grow. 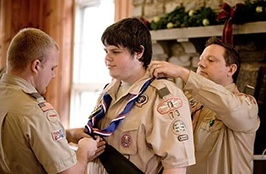 For his sons, this includes active involvement in the Boy Scouts of America, with his eldest son already earning his Eagle Scout and his 15 year-old headed in the same direction. When time permits, they also enjoy traveling as a family to other, exciting parts of the world.